Published on Monday, April 25, 2016. This article appears in the April/May 2016 issue of American Craft Magazine. 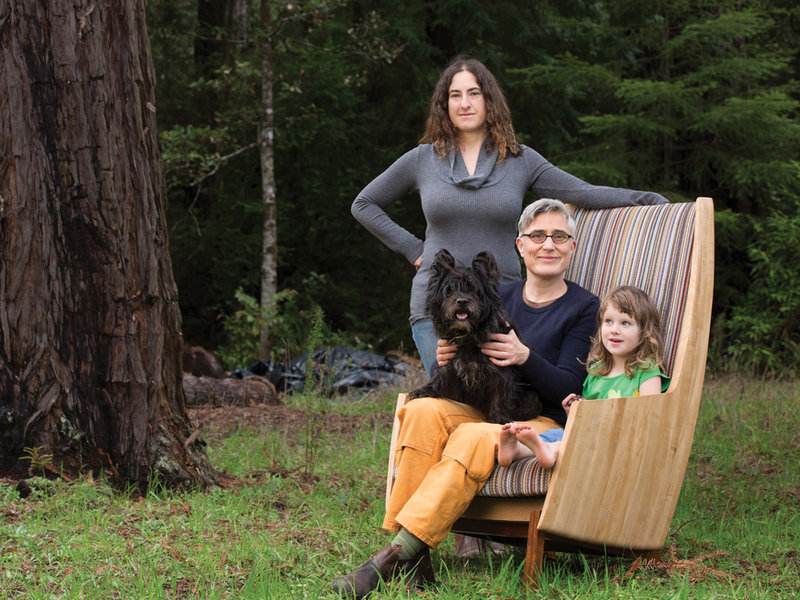 From California to Ireland and back again, Laura Mays and her partner, Rebecca Yaffe, have found abundant inspiration. 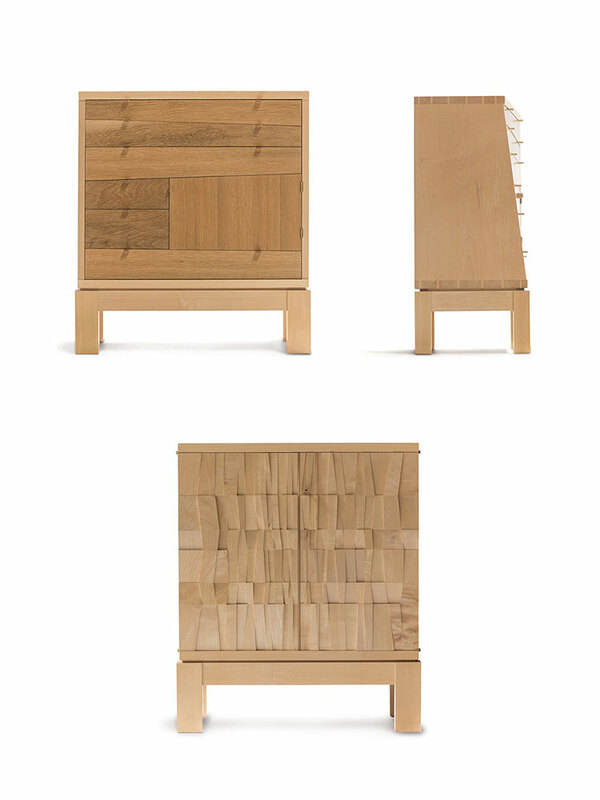 If Laura Mays hadn’t been born and raised in Ireland in the latter half of the last century, it’s likely her furniture explorations would have taken quite a different turn. 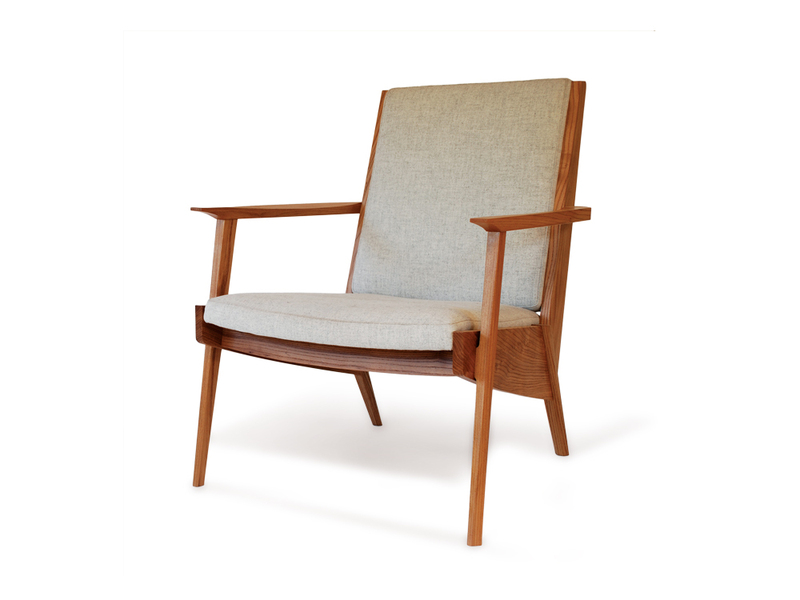 As it happens, the 48-year-old designer, teacher, and master woodworker came of age in Dublin, “when there was maybe one store that carried Danish modern. You had to go to England just to find a Habitat,” says Mays, referring to the design store chain. In her 1840s terraced house, “you couldn’t move without tripping over some old thing.” The “coffin chair” – a coinage of Mays and her brother – was one such antique. 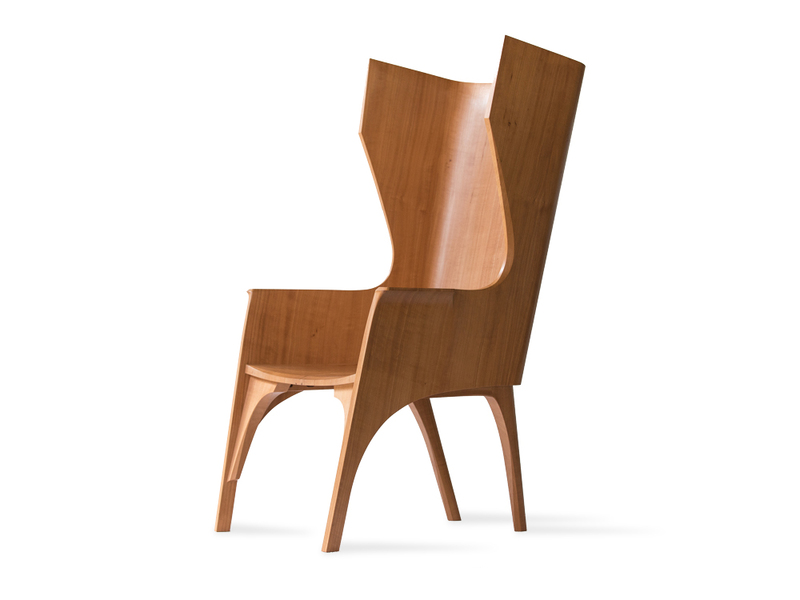 With a high back and curving sides, it was made by Mays’ paternal great-great-grandfather. 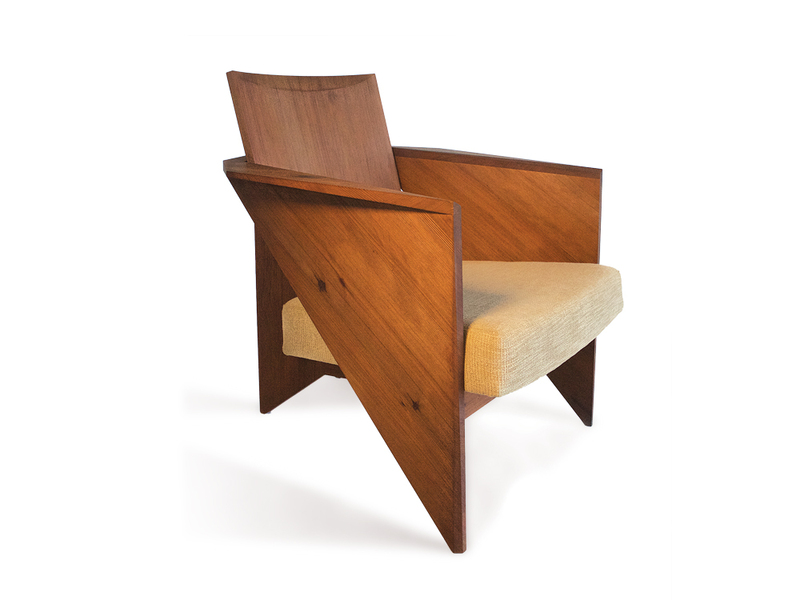 Also known as a wing or porter’s chair, the profile was designed to protect the occupant from drafts as they sat by the fire. “It was in our kitchen, and I only realized after I had made two of these sorts of chairs that I actually grew up with one,” she recalls. A photo in Mays’ workshop in Fort Bragg, California, a coastal town just north of Mendocino, shows the coffin chair’s 18th-century antecedent, carved from the shell of a hollow elm. 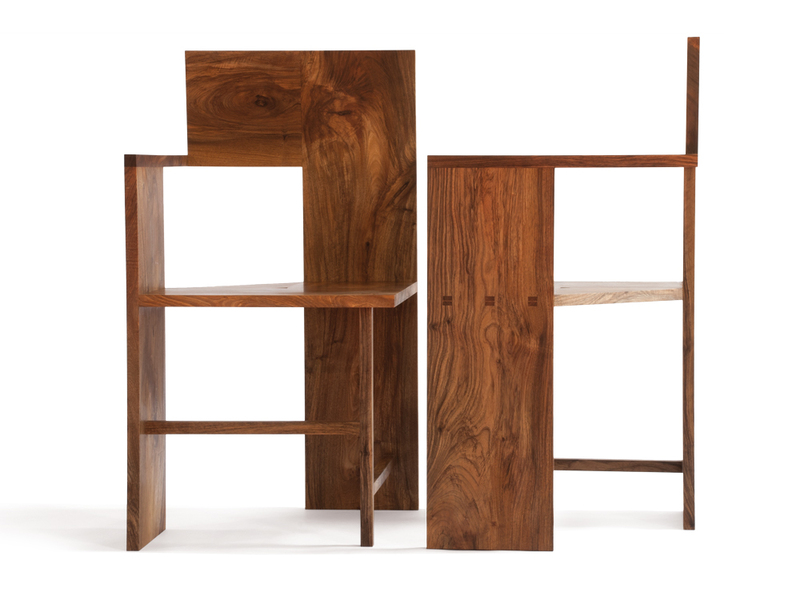 Mays’ explorations of the form, which are sculptural and statuesque, retain something of the illusion of being hewn from a tree trunk, despite her complex and sophisticated joinery techniques. And there is something bracingly modern about her work, which exudes not a whiff of nostalgia or pastiche. 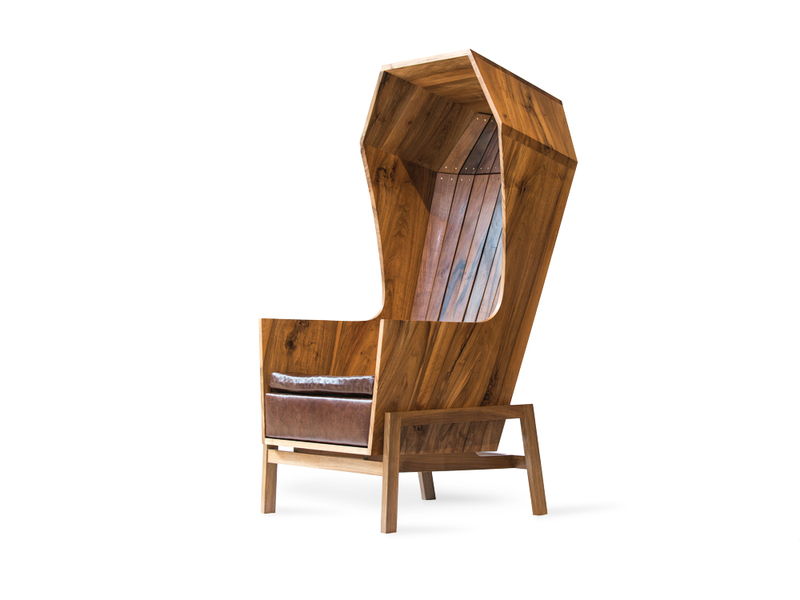 Made of French and Irish walnut, Personhood (2011) makes explicit its allusions to cradle and coffin, “both resting places for the body at times of transformation,” says Mays, who constructed it somewhat like a boat, fixing the steam-bent, rabbeted thin planks with brass pins. 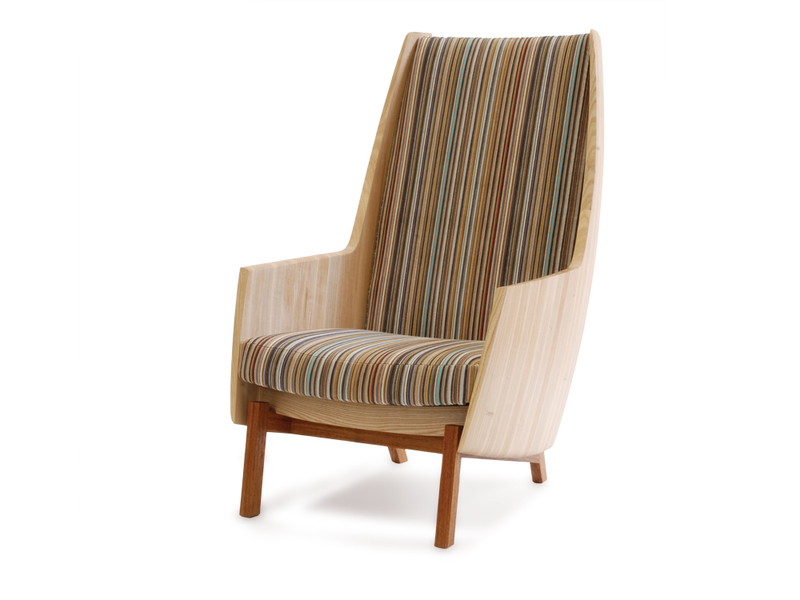 She used a coopering technique on the rounded ash sides of Ample (2015), joining the staves together like a barrel, and choosing Paul Smith’s iconic striped velvet Epingle fabric for the upholstery. Mays didn’t set out to be a woodworker. 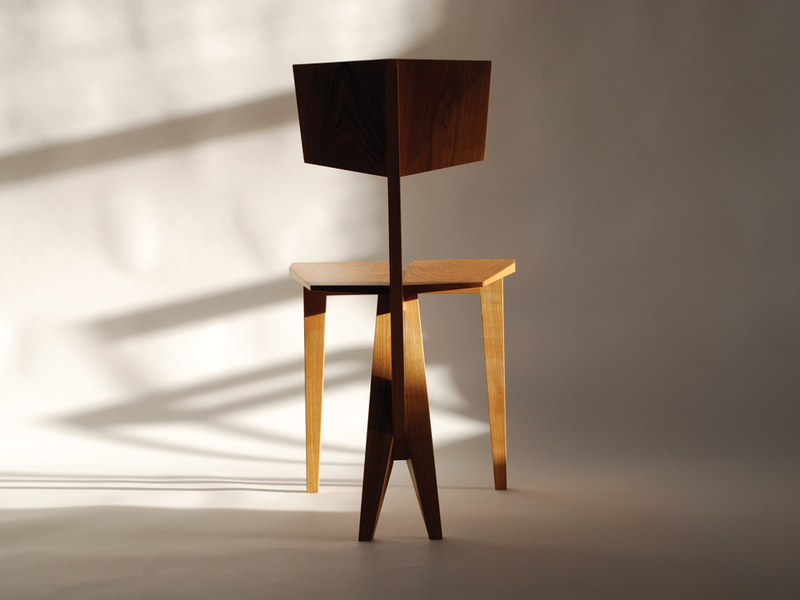 After leaving University College, Dublin, in 1992 with an architecture degree, she felt driven to acquire the skills to be more hands-on, “having graduated at a time when the architect did the drawings and the workmen got their hands dirty, which didn’t feel right.” After kicking around in England and Japan, she completed a two-year course in furniture design and manufacture at the Furniture College in Letterfrack, in the west of Ireland, where she also set up a workshop. 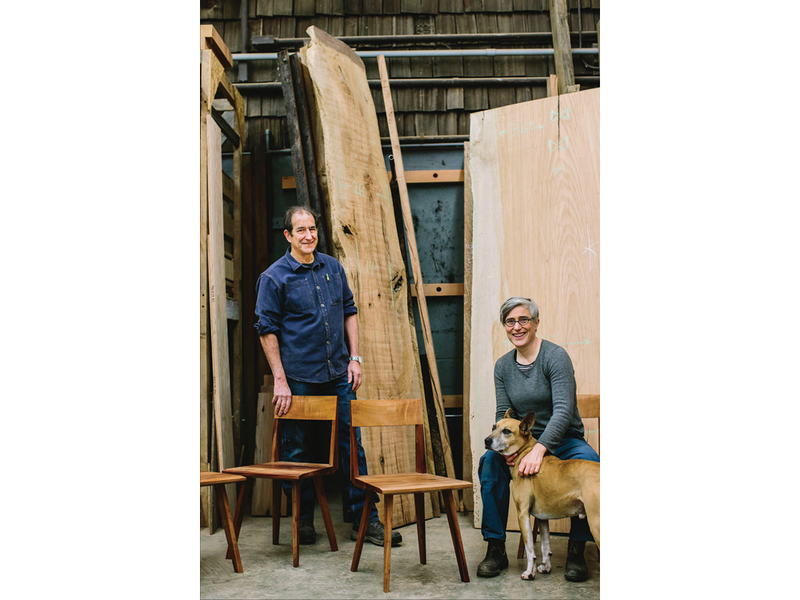 There, reading books by legendary furniture maker James Krenov for the first time, she felt moved by his philosophical and practical musings, and applied to the fine woodworking program he founded in 1981 at College of the Redwoods in Fort Bragg. Arriving in 2001, Mays not only had the chance to work with Krenov (who retired the next year), but also met her future wife and business partner, Rebecca Yaffe, now 40. (They were married in 2013.) Yaffe had come to College of the Redwoods with a degree in American studies from Smith, where she had focused on the material culture of historic New England. 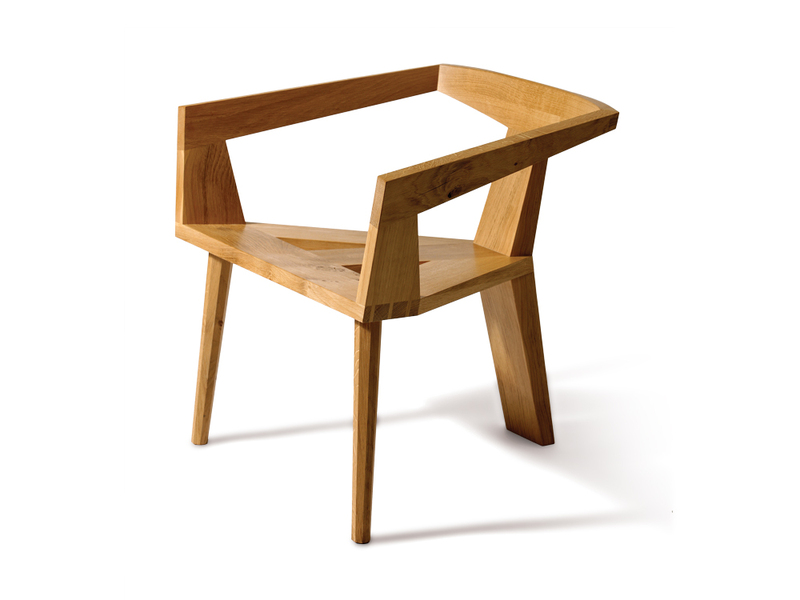 After completing the two-year woodworking course, the women moved to Connemara, on Ireland’s west coast, where they eventually formalized their working partnership as Yaffe Mays. Although the artists mostly worked on their own pieces, “we’ve always had a fluid relationship, whether talking through a technical problem or lending an extra set of hands,” says Yaffe. During this time, the Celtic Tiger was in full swing. 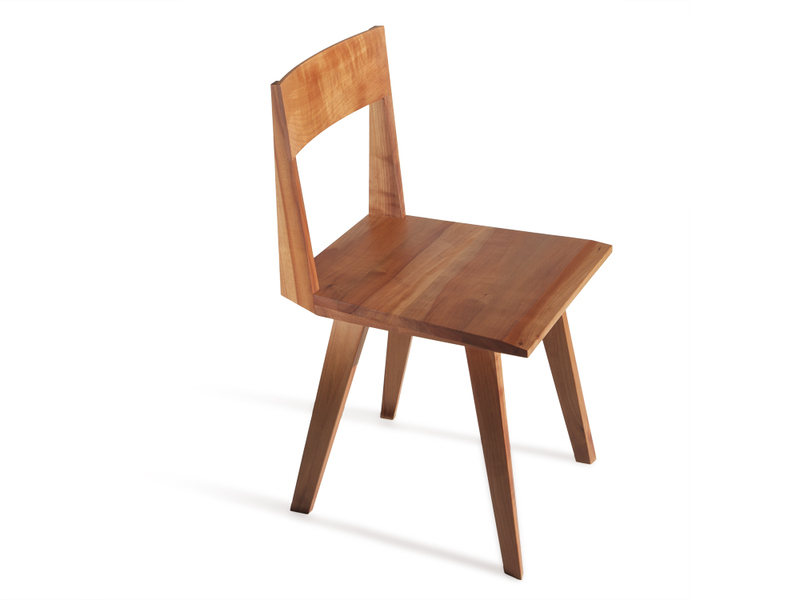 In that booming economy, their dance card was filled with new furniture commissions, as well as collaborations for exhibitions supported by Ireland’s robust Crafts Council. The first such show, “Ecology, Mythology, Technology,” featured three cabinets (Skew, Scraps, and Zaftig) that had the same carcass, but that each woman took in different directions. Mays also lectured at Letterfrack and worked on her master’s thesis at Dublin’s National College of Art and Design. 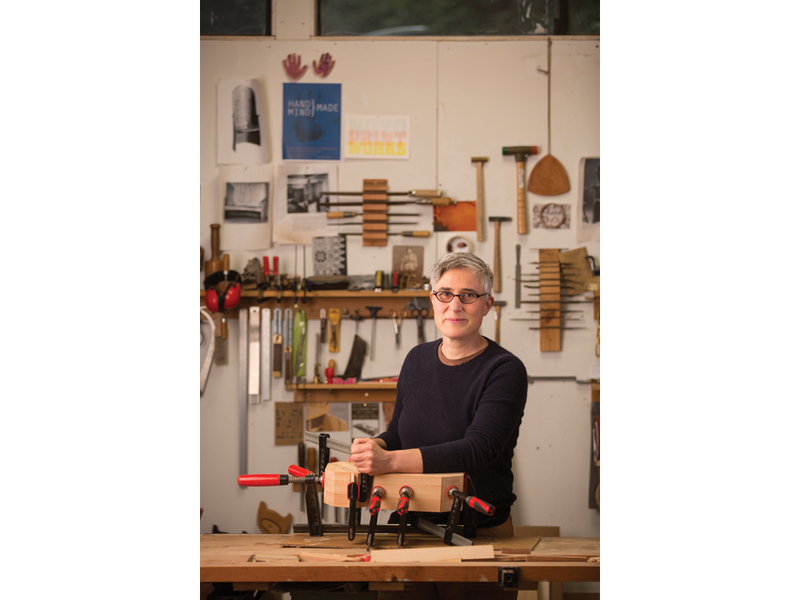 Soon after receiving her degree in 2010, Mays was offered the directorship of the woodworking program at College of the Redwoods, and she and Yaffe headed back across the pond. 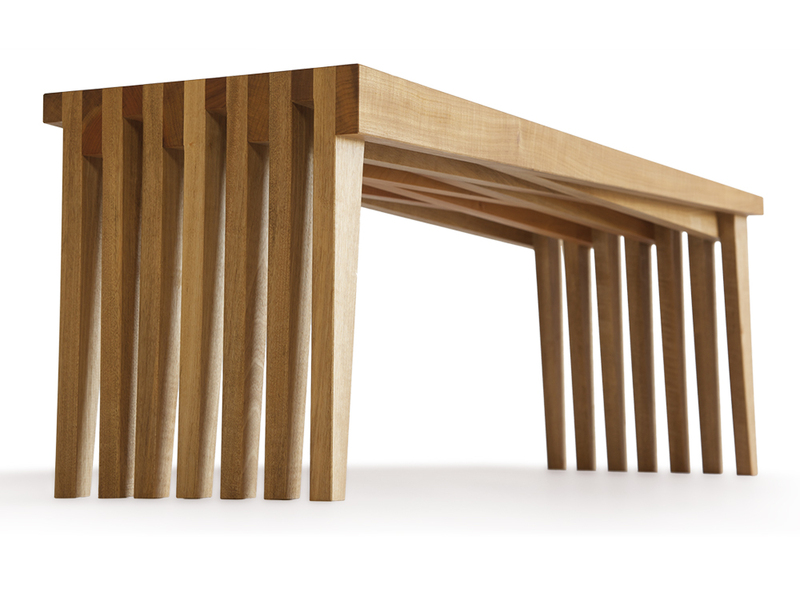 She and Green discussed how to best show it off, and today it’s the top of the first Fourfold dining table. Mays and Green envision marrying her designs with the production skills of recent graduates of College of the Redwoods, to create a small-batch collection that bridges the gap between the entirely bespoke and the mass-produced. Perhaps not coincidentally, part of Mays’ thesis dealt with issues of mass production. 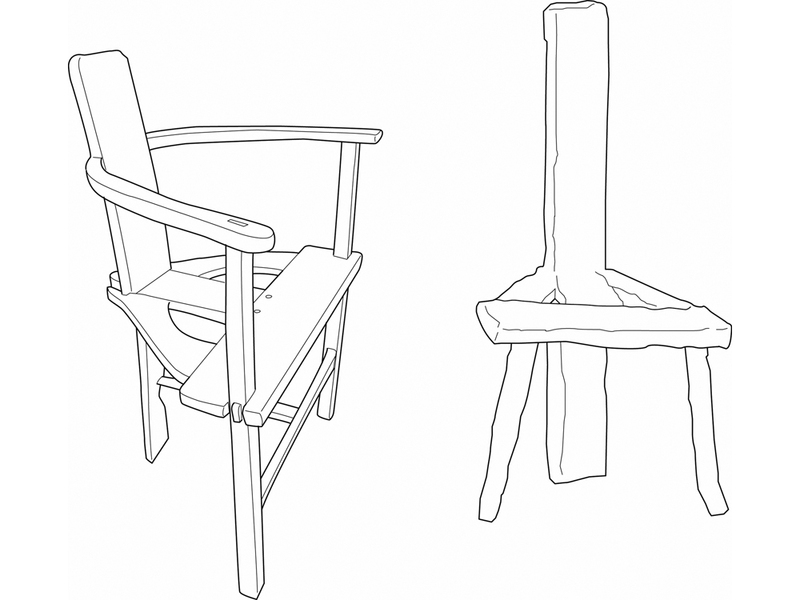 Ikea’s Stefan chair, a low-priced model made in China, was a jumping-off point for exploring how production methods influence an object’s meaning and value. Assorted riffs included “hacking” the source – cutting up two chairs to construct an entirely new rocking chair – and a straight-up re-creation made in an opposite manner from the original. As part of her inquiry, Mays cited a question posed by art critic John Perreault: “If two objects, one handmade and one machine made, were visually identical, could we somehow feel the difference?” There are no easy answers, particularly when such non-aesthetic issues as working conditions are taken into account. 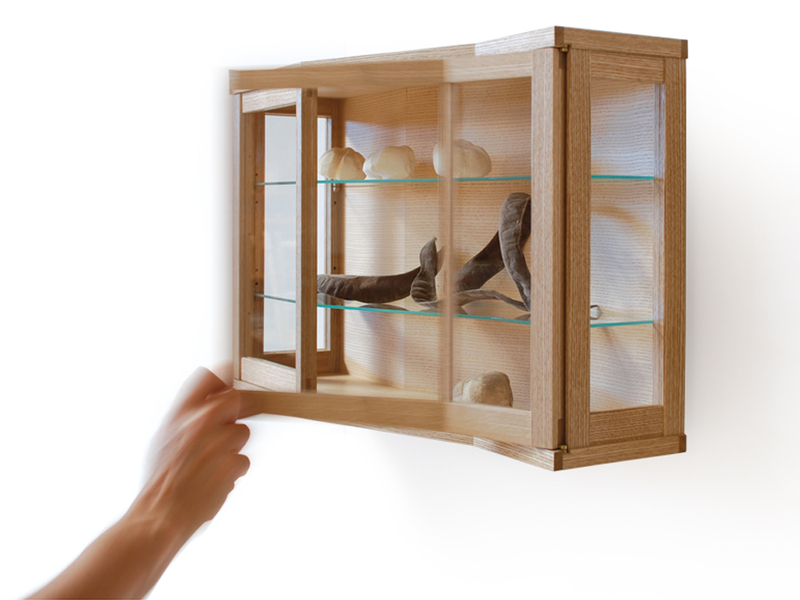 As Mays focuses on guiding new generations of woodworkers, she continues to plumb her own history, as well as her natural surroundings, for inspiration. “When I look back – having studied, and then taught, in such a unique and beautiful part of West Ireland, and then coming to this magical place, surrounded by forests and redwoods – I realize I’ve jumped from one very special west coast place to another.